The look of old Andalusia Spain! 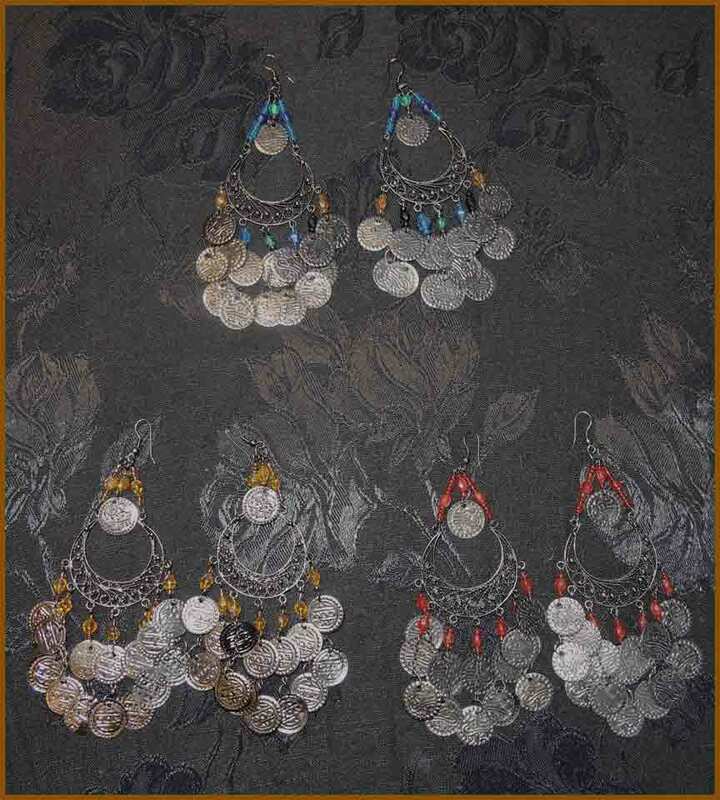 light weight antiqued metal coins cascade from a crescent hoop! Delicate metal work mimics fine Spanish antiqued dark silver filigree with a distinct Arabian influence! 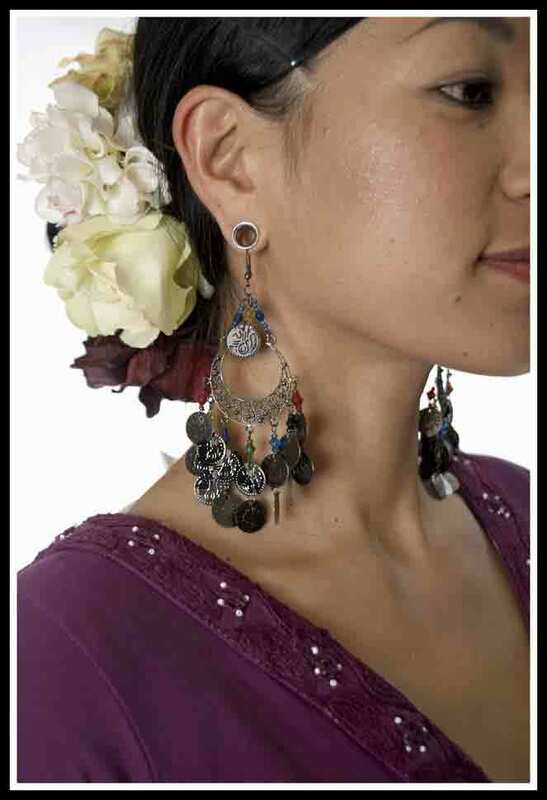 accented with crystal beads. 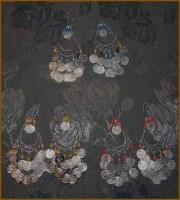 3 color choices: pewter with amber beads, pewter with red beads, pewter with blue-multi beads.